Anthony Chase, Evaluation Specialist from SEIRI, and Grant Fore , Research Associate from SEIRI, presented at the PLTL Conference in Chicago, June 4-6, 2017. Their featured workshop, How do we Know if PLTL Worked Anyway?, was designed to help educators implementing PLTL programming consider best practices for program evaluation and assessment.Pratibha Varma-Nelson also presented, Replicating Peer-Led Team Learning in Cyberspace: Research, Opportunities, and Challenges. Annwesa Dasgupta has joined the SEIRI staff as a Post Doc. She will be assisting with evaluations and assessments. Coming from Purdue University, Annwesa specializes in Biological Sciences and Assessment Development.We are glad to have her with us. Congratulations to Pratibha Varma-Nelson, Director of SEIRI. Dr. Varma- Nelson has been selected as a member of the 2017 class of the American Chemical Society Fellows. ACS Fellows are nominated by their peers and selected for their outstanding achievements in and contributions to the science/profession and for providing excellent volunteer service to the ACS community. The 2017 ACS Fellows will be honored at a special ceremony during the ACS National Meeting in Washington, DC, on Monday, August 21st. 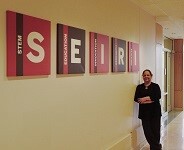 SEIRI recently awarded seven projects a total of $210,000 as part of the SEIRI Seed Grant program. Pratibha Varma-Nelson said, "The grants provide faculty within STEM departments seed funding for education, innovation and research. They will also enable faculty to be more competitive to receive external funding, such as fro the National Science Foundation of National Institutes of Health." Target Audience: IUPUI and IUPUC faculty, postdoctoral fellows, and graduate students in science and engineering. Mats Selen, U. of Illinois: Shifting focus of introductory labs toward creativity, design, sense-making, and communication. Focusing on outcomes assessment in higher education. What strategies have been used in universities across the country to create institutional environments that encourage the success of women scholars? Which strategies work most effectively, and why? 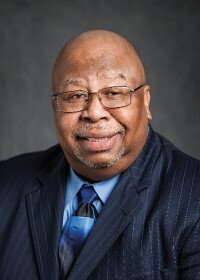 Leading organizational change in higher education to create more inclusive environments and to support a more diverse faculty requires strategic choices about appropriate levers for change that are effective in complex organizations. 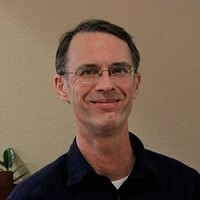 Michael Ashby received his Bachelor's of Science Degree and Ph.D from the University of Arizona. Michael did his postdoc research at University of Wurzburg in Germany. Erin Dolan - Engaging Undergraduates in Research at Scale: What if the treatment is a CURE? Erin Dolan is a Professor of Biochemistry and Molecular Biology and Georgia Athletic Association Professor of Innovative Science Education at the University of Georgia. In the United States, less than half of the students who enter into science, technology, engineering, and mathematics (STEM) undergraduate programs as freshmen will graduate with a STEM degree. On this basis, there is a clear need for innovative initiatives that promote undergraduate retention and achievement within STEM. The LSU Office of Strategic Initiatives (OSI) has developed a stable of such initiatives. This lecture will provide practical information on how to create an effective research poster. Topics discussed will include how to select appropriate text and images and how to optimize a poster's layout to reveal a study's outcomes. Dinner will be served from 5:15 p.m. - 5:30 p.m., and the presentation will begin promptly at 5:30 p.m.
Limited Submission Deadline: September 6, 2017.For more information, Click here. Full Proposal Deadline: September 14, 2017. Full Proposal Deadline: September 27, 2017; January 24, 2018. Full Proposal Deadline: October 5, 2017. Full Proposal Deadline: November, 2017. Full Proposal Deadline: November 3, 2017. Full Proposal Deadline: November 14, 2017. Full Proposal Deadline: December 8, 2017. Full Proposal Deadline: February, 2018. Full Proposal Deadline: March 28, 2018. Thank you for reading our newsletter. We hope you found something that piqued your interest. Feel free to contact us with suggestions or ideas for future issues and comments. Please send us information on your department's upcoming seminars as well, and we will be glad to include the information.